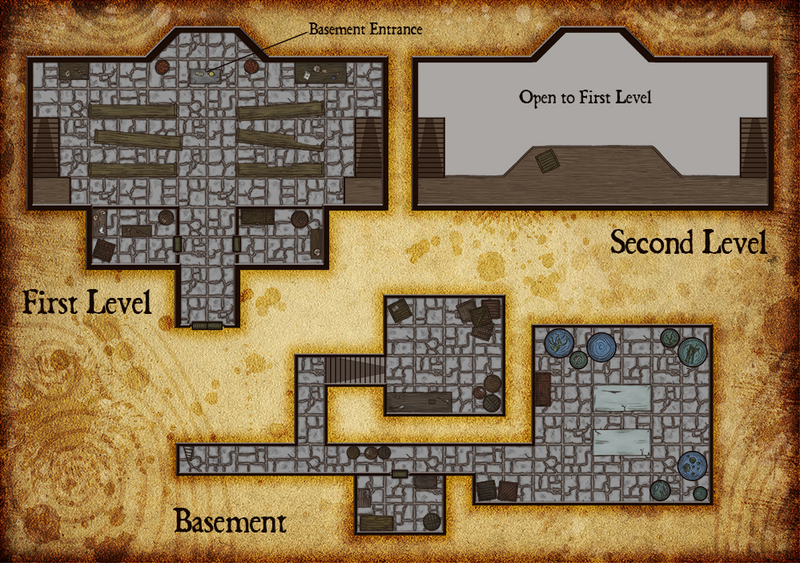 This short adventure is appropriate for low-level (levels 2-4) adventuring parties. Challenge rating is calculated using a party of four as the model. Feel free to change or modify any or all the information found here. NPC names and settlement names are the first you should consider changing to accommodate your homebrew world. 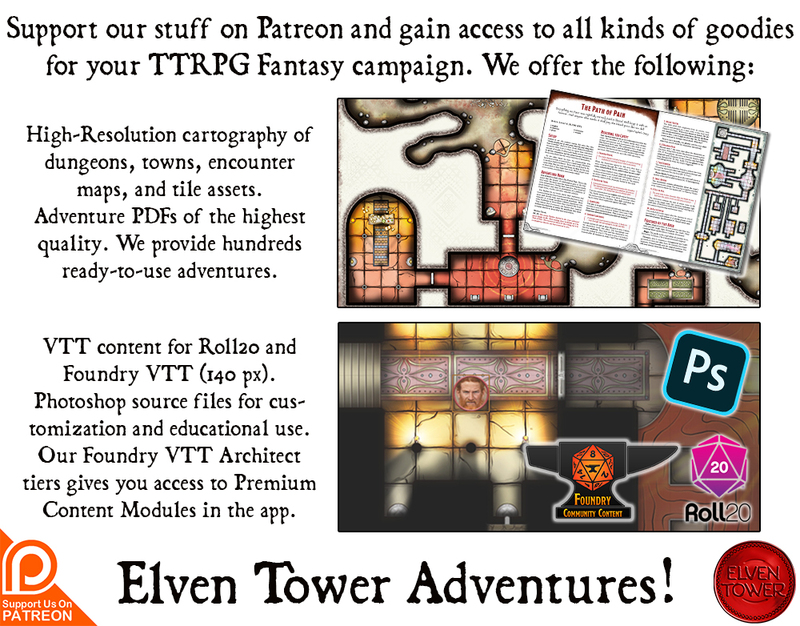 To modify the challenge rating of the adventure, you must first consider the power level of your party. Taking into account PCs’ individual levels and number of players is crucial to presenting a good challenge. Not all parties are the same, different playing styles and command of the system in your party can increase or decrease their effectiveness in encounters. You may adjust the encounters slightly by adding or subtracting monsters. Alternatively, controlling monsters with more intelligence and strategy is often the easiest way to raise the difficulty of a particular encounter. A cloaked figure is often seen roaming the markets and dark alleys of the town. His cloak is old and dirty, slowly wasting away after years of usage. The man covers most of his body and face with it and other clothes. The little visible skin is coarse and scarred the types of scars you see after skin is burnt. The townsfolk avoid the man mostly; kids run away in fear and adults smear and step away. Market vendors will not refuse an extra sale, and the cloaked man buys food and sometimes animals from time to time, always paying with silver and gold. The man bought a cow, two sheep and some chickens in the past 6 months. The man does not appear to pose any threat to the common folk; the town watch has not been able to link him to any unworthy behavior. Sometimes a guard follows the cloaked vagrant back to his lair. The man appears to live in an abandoned church. The church was built a few decades ago for a faith that no one in town follows anymore. With the death of the only priest of that faith dead, the few believers stopped coming and the place was abandoned. The town’s council is thinking about repurposing the place, but no official decision has been made. At first the church was just ignored by the city rulers, out of respect for any believers that might remain in town. The city guard thinks the man in the ragged cloak lives in the church. Being a common homeless man it is no surprise. The only strange thing is his expenses in the market because no one really knows where the money is coming from. But since no illicit activity or crime is apparent, they let him be. Unknown to a very select number of people in the town’s underworld is the fact that the man is not homeless nor common. He is simply known as Dommer, and he is a necromancer. After the church was abandoned, Dommer took advantage of the lack of believers to move his laboratory to the church’s basement. The entrance to the basement is hidden under the tabernacle in the churches main hall. Dommer is not a normal human; he was infected with a deadly disease at an early age. No doctor or treatment would cure him. The disease rendered his skin overly sensitive to sun light; his skin would burn like timber with direct exposure. It was hard growing up with a condition that prevented him to spend time with other kids and do normal things. He was shunned and ridiculed for his ugly scars and coarse skin. He became sour and depressed but at the same time determined to overcome his reality. Later in life Dommer became versed in the arts of manipulating life and death. Necromancy was a misunderstood art in his opinion. It was considered evil in essence, a disgusting type of magic; not to him, necromancy was like painting, and dead tissue was his canvas. He experiments with living animals, killing them and then bringing them back from the void. His ultimate objective is to remove the skin from a living person and graft it on himself, thus overcoming his disability. He already grafted a farmers skin on his left arm. The work is not perfect and it looks worse than before, but it is not longer vulnerable to sunlight. A few townsfolk already went missing because of him, he is stealthy and no one suspects him yet. The main level of the church is abandoned; the furniture shows signs of humidity and time. One of the benches in the main hall is broken. A tabernacle near the back wall of the church hides a small lever under it. Moving the lever causes the tabernacle to slide aside on hidden rails and reveal a tunnel that descends to the basement. Two stairs on each side of the church go up to the balcony level, where important people would seat during masses and sometimes the choir would sing. There is nothing of value in the second level. Undead guardians await in the balcony level under Dommer’s command, these undead creatures were created from the missing townsfolk. If anyone other than Dommer enters the church and starts snooping around, the undead creatures jump on them from the balcony. The basement level features two rooms. The first one is serves as a storage room and is not used very much. There is a table, a cupboard and a large chest inside. The chest is full of old rusty surgery equipment and some stuffed animals. The cupboard is a potions and chemicals storage room, there are all kinds of concoctions in there. The big chamber is Dommer’s laboratory. Upon entrance, A large number of crystal vats and containers dominates the sight. They are all of different sizes and are filled with murky liquids of different colors. Strange unmoving things float in the containers. Some of them appear to be complete creatures while others are just parts or organs. Two large metal tables are nailed to the center of the room. The metal is stained with dry blood, just like most of the stone floor in this room. There is another room after a flight of stairs that goes deeper down, this is a storage room where the church used to keep food and other goods, Dommer has no use for this room except keeping some more undead servants.